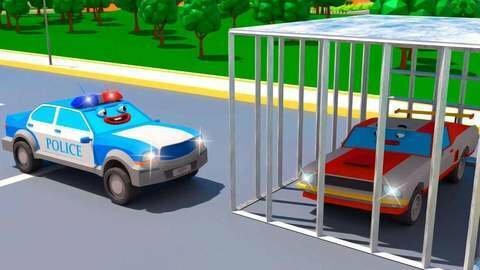 The bad Race Car is up to no good in this car cartoon for kids and she is trying to escape jail even if she did something bad. Too bad she can’t escape because the Police Car still caught up to her and she still ended up in jail. Aside from the Race Car, you’ll also get to watch the naughty things that the excavator did to the Police Car. Have a marathon of watching 3D car cartoons for free by going to SeeZisKids.com.